Support the Endangered Sauce Act! I’d like to take this opportunity to draw your attention to an emerging crisis. A crisis that looms even larger and more ominous than our country’s staggering deficit or our precarious interests in the Middle East, one stands firmly at the forefront: the puzzling disappearance of fry sauce. I realize I may have just lost 90% of my audience, but it is a sacrifice I, as a patriotic American, am prepared to make. I now continue with my core audience, the enthusiastic 10% who have just simultaneously high-fived the air and grunted an unintelligible sound. My comrades who take their fries seriously and appreciate the intense carnal pleasure that a little mayonnaise and ketchup concoction can provide. Sure, a few diehard burger joints have hung on, but fry sauce is simply not as available as it used to be. Not only in fast food restaurants, but in most restaurants – diners even. 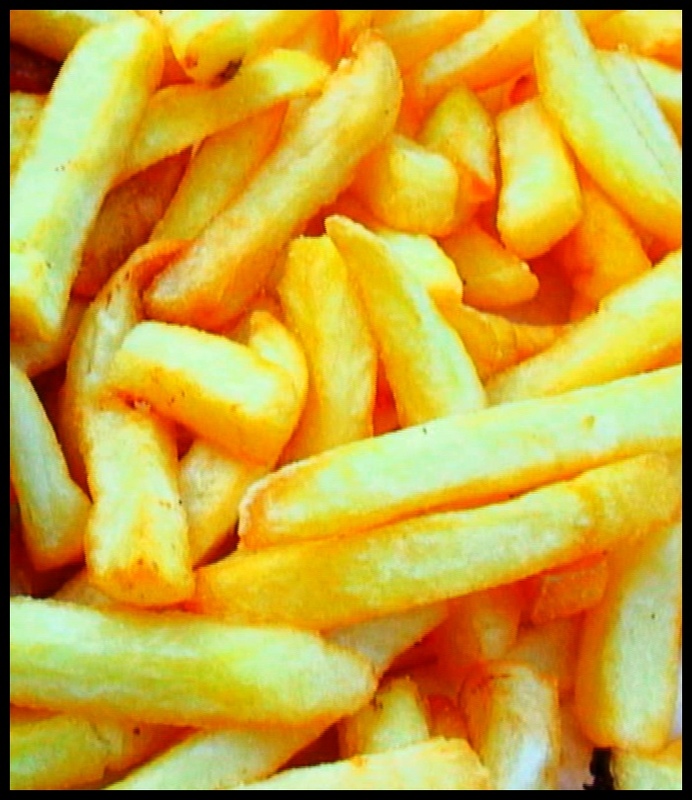 And don’t get me started with fancy restaurants that call their french fries “pommes frites.” Ask for sauce in one of those grand establishments and the snooty waiter looks at you like you’ve coughed up a hair ball. Fry sauce used to be everywhere. You couldn’t come within half a block of a burger joint without some pimply faced kid pushing fry sauce on you like a dope dealer pedaling smack. That heavenly pink concoction made of mayo, ketchup, a dash of Tobasco, and something that gave it texture – perhaps asbestos. Recently, rather than continue to sit back and complain (mainly to myself), about this travesty, I threw on my tweed jacket and popped in my meerschaum pipe. “Step aside,” Sherlock I said admiring myself in the mirror, Jack Edwards is here, and it’s time to do some digging. First stop, the nearest fast food restaurant. For legal reasons, its name will be withheld. Instead, I will use the code name “McRonalds.” (That should keep my lawyer off my back. Just saved myself $500 skipping that little telephone conference Q&A. Nyuck, Nyuck.) Anyway, the manager of that fine establishment agreed to an interview on the condition of anonymity. I will therefore, in keeping with the highest of journalistic ethics, refer to him by a code name as well, Yum Yum. Me: “Two words: fry sauce. Give me the skinny.” (I cringe as these words leave my mouth, because indeed there is nothing skinny about Yum Yum). My journalistic antennas shot to attention. Plain ketchup? Fry sauce died for lack of demand? I felt like a senator holding a hearing in 1972 listening to the CEO of a major tobacco company testify that there wasn’t any evidence that (cough cough) cigarettes caused cancer. Somebody was trying to dupe somebody, and that somebody was me. (I may have thrown in too many “somebodies” here, but you get the point.) This guy was feeding me a pile of used cattle feed. I’m not really sure what happed after that. I came to in an alley tilted against a dumpster with mayo smeared on one cheek and ketchup on the other (and I wish I were talking about my face). But alas, the truth was out. So a call to arms, my brethren! We gather at the Lincoln Memorial next week, and march united across the mall to the Capital. If not us, who? If not now, well, you get the point. And based on the size of many of our representative’s bellies, I am confident that we will find an attentive audience. A swift, bipartisan solution is at hand! Don’t Fight “Therapy” Dogs, Join Them! I’d like to draw your attention to an emerging crisis. A crisis that looms even larger and more ominous than our country’s staggering deficit or our precarious interests in the Middle East. I am, of course, speaking about the proliferation of therapy companion animals. In less time than it took us to move from cell phones the size of bricks to the size of Kit Kat bars, therapy animals have swept over this country like locusts. The ancestor of these “therapy companions,” which now enjoy equal space in our grocery stores, theatres and airliners is, of course, the gallant “seeing-eye dog.” That loyal animal which escorts its master safely down sidewalks and across perilous streets. From such humble and practical beginnings, we now have an animal for every conceivable illness, malady or syndrome known to WebMD. I spotted a wiener dog the other day wearing one of those little red vests that said Anxiety Therapy Companion. Not twenty-four hours later, I see a mom and three kids marching into a dance performance with a golden retriever wearing a vest that read: Autism Therapy Companion. It didn’t seem to be aware that it had a job to do. It wasn’t standing alert or, as far as I could tell (albeit I’m no expert) doing anything special. It seemed to lay down on its side as often as it got the chance. Perhaps to my untrained eye, I’m missing the nuance of his assistance. Recently, it came to my attention that a group of concerned citizens has formed a nonprofit group to raise and train therapy dogs for overweight children. They assign the dogs to the children by weight, both the child’s and the dog’s. The chubbier the child, the chubbier the dog. The concept, as I understand it, is that by being around a dog that is more robust than the child, the child feels thinner, and thus better about him or herself. The society providing this assistance is using labradors, because, as anyone who has spent any time around a lab will tell you, those things will eat ten meals a day if you let them. The program has been hailed largely (no pun intended) as a success, but there have been challenges. In a few instances, children have, how shall I put this, “outpaced” their dogs in girth. 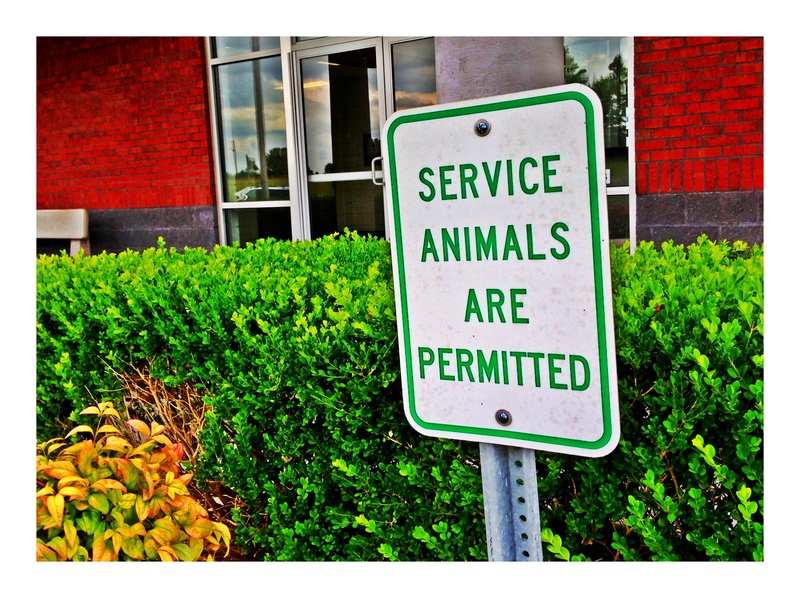 The animals had to be returned to the association’s kennel for “retooling” (i.e. placed on a strict regimen of high-fat liver flavored doggy shakes and other tasty caloric snacks). I put a call into the White House to alert First Lady Michelle Obama about this program, and to my pleasant surprise, she called me back. As many of you know, the First Lady launched a campaign to battle childhood obesity and promote a healthy diet. After explaining the program to her, Michelle (as I now call her), told me that she was concerned that this cutting edge therapy program might actually be enabling these children to continue to live an unhealthful lifestyle. Michelle inquired whether these companion therapy animals might better be trained to, for example, throw themselves between their chubby masters, as, say, they were reaching for a piece of chocolate cake. I replied to Michelle that might be pretty dangerous for the animals, but that I would see what I could do to communicate her thoughts to the association. Don’t get me wrong. I am pro companion therapy animal. I even decided to borrow my neighbor’s weimaraner, Gus, a dog bred over centuries to fulfill its essential role of being photographed wearing human clothing – in short, an animal harboring little to no remaining dignity, to act as my therapy companion. (My family is not able to have a pet, as my wife is allergic to having hair on the couch, that and muddy footprints). As I have settled into middle age, I have found myself often plagued with the discomfort of gas buildup and bloating, especially after enjoying a large Mexican meal. So I thought, perhaps an anti-acid therapy companion might help. You know, calm me, and aid in settling the digestive juices. Truth be told, Gus is getting up there in years, eleven on his last birthday. Which, of course, in human years is 385. So he’s a little slow off the dime. And they say you can’t teach an old dog new tricks, but, he already has most of the necessary skills. He walks as slowly as I do, doesn’t pull on the leash, and he collapses at my feet the moment I give him the chance. As I was hesitant to invest any actual money into my new endeavor, I was challenged to come up with a suitable, but necessary “official vest” for him (So I could take him anywhere I wanted, places where others might ignorantly consider his presence inappropriate). The only thing red I could find in the house was a kitchen apron my sister-in-law gave my wife for Christmas last year, with “Kiss the Chef” printed across the front. However, by folding it in half and flipping it upside down, I was able to loop the neck stringy thing over Gus’s head and tie the back strings under his belly. An artful black marker job later announcing Gus’s status as an Anti-acid Therapy Animal, and I was in business. I even embellished a bit by printing in smaller letters “Please Don’t Pet Me, I’m Working!” beneath his title, for official effect. If you see Gus and me out and about, please stop and say hello (but don’t mention anything about his “vest”).